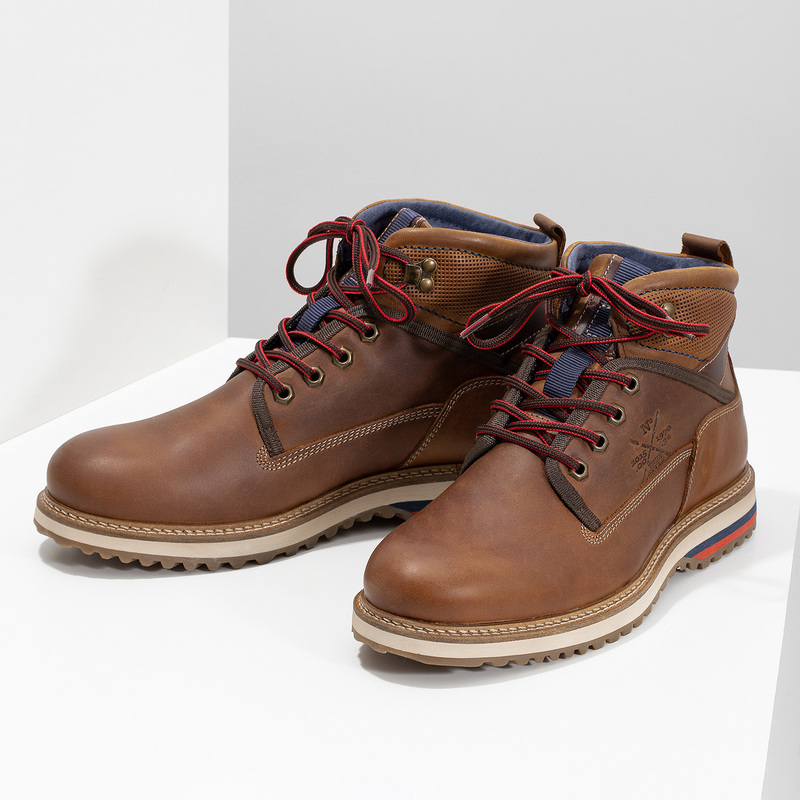 These men’s ankle boots are the perfect choice to add the finishing touch to your urban autumn or winter style. 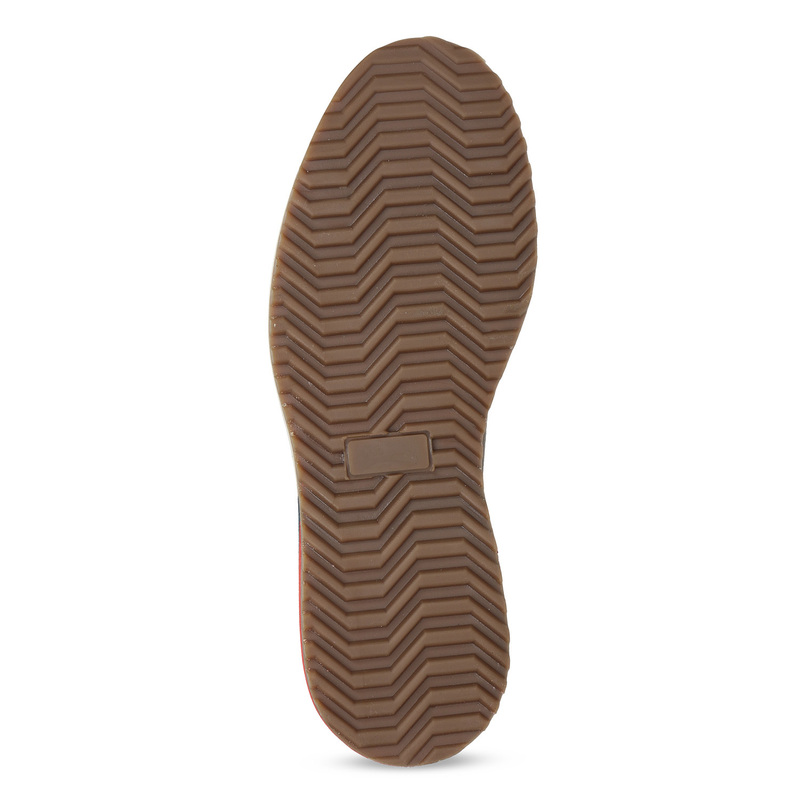 The high-quality leather upper comes in a youthful shade of brown and features bold stitching and an embossed logo. 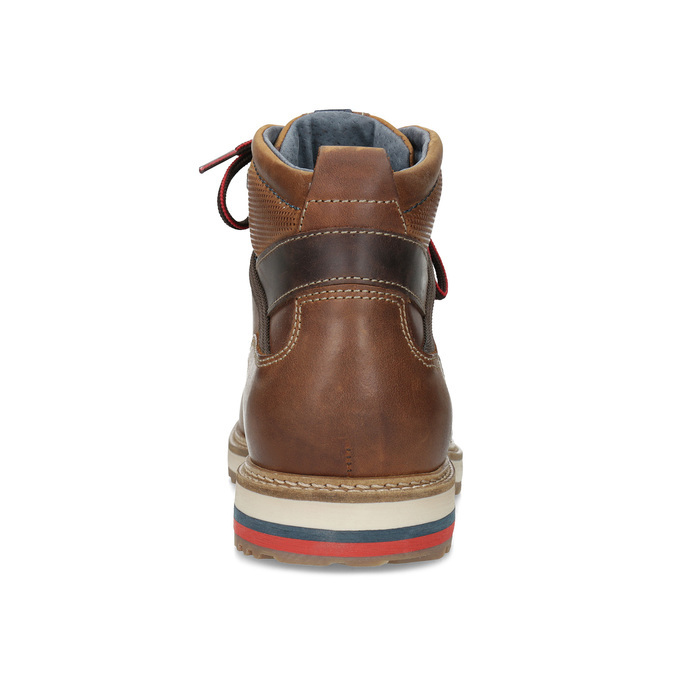 The blue lining adds an element of interest, and the laces match the comfortable striped sole. 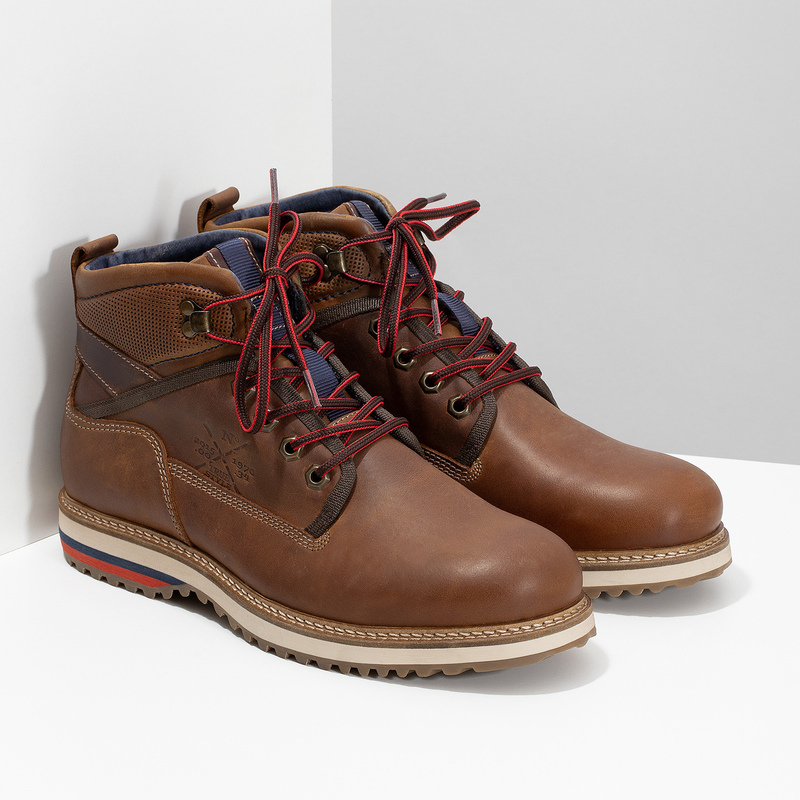 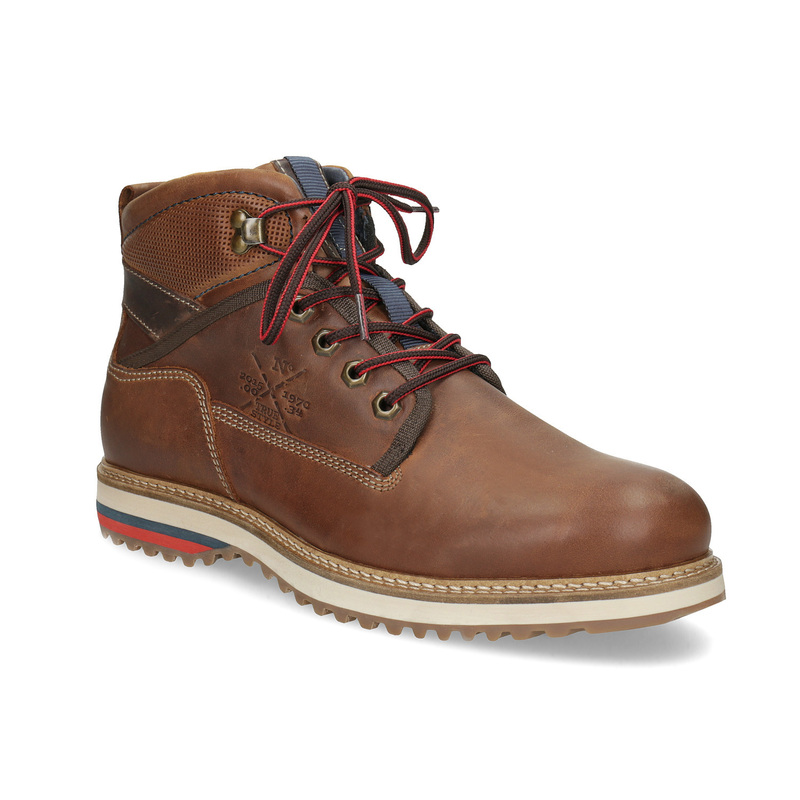 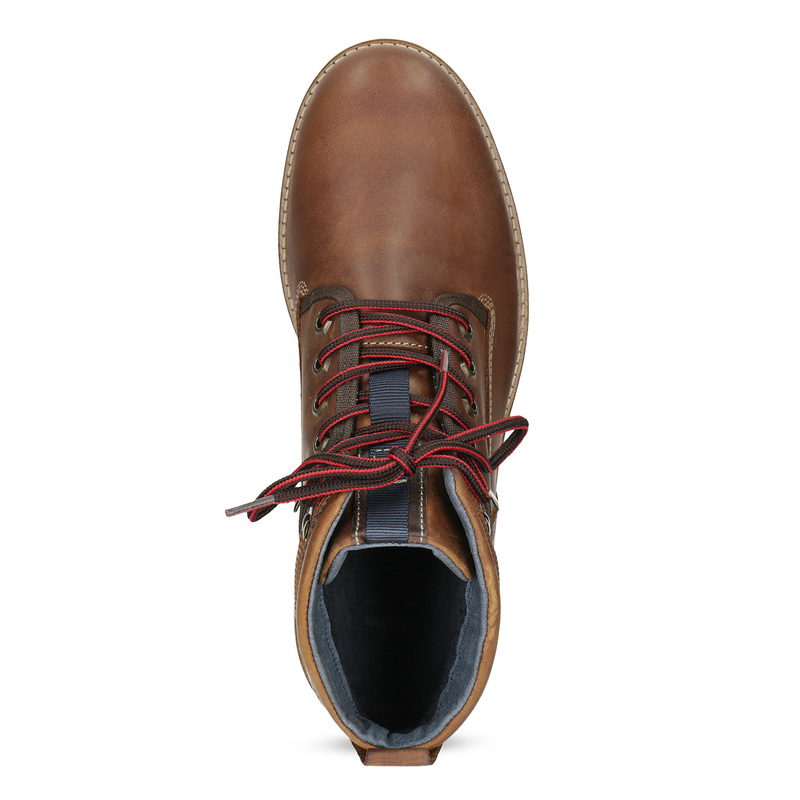 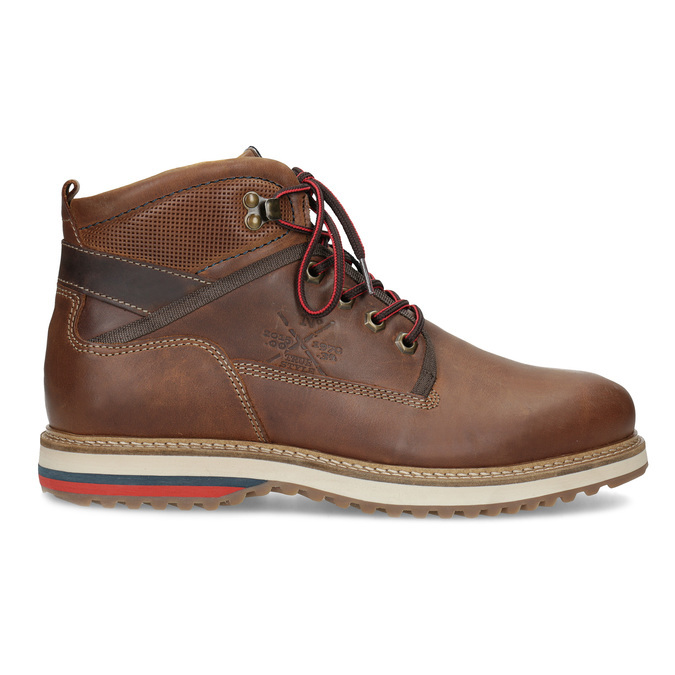 These boots will look great with chinos or jeans.